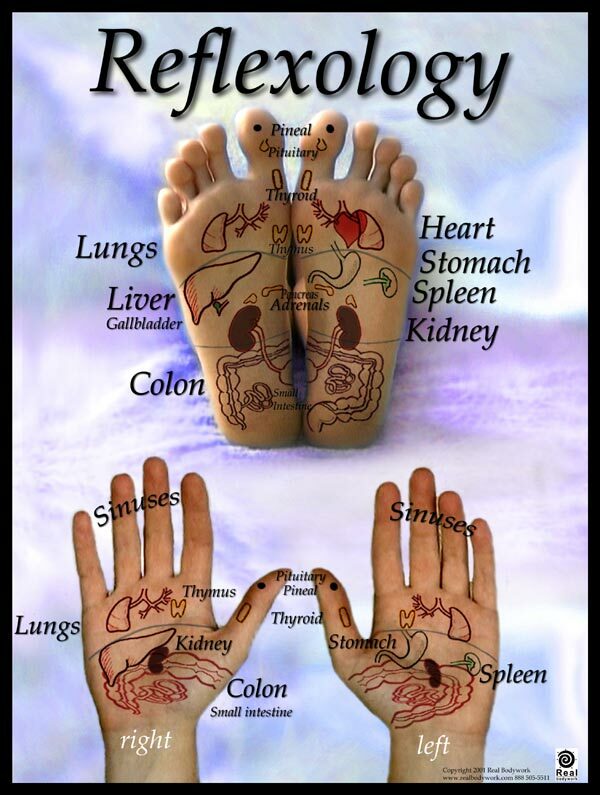 Reflexology is the study of reflexes found in the hands and feet, and their corresponding connections to areas/organs in the body. It is a non-invasive therapy suitable for a wide range of conditions, although there are some cases where Reflexology is not recommended e.g. Diabetes Mellitus or if a client has a pacemaker. By applying pressure techniques using thumbs and fingers, the therapist stimulates reflex points on the ankle & foot which expedite the client’s return to optimal health. A reflexology treatment lasts approximately an hour, longer with a client consultation on first appointment. The therapist attempts to enable the client to balance and heal areas of congestion and blockages. Reflexology works on an emotional level by allowing the client space and time to relax mentally, and encouraging healing energy to flow. Generally speaking a reflexology treatment should be a gentle and calming experience. Other contraindications include athlete’s foot and verrucas which require podiatry services.